Shop online for over 1,300 marklin model trains at discounts up to 35%. 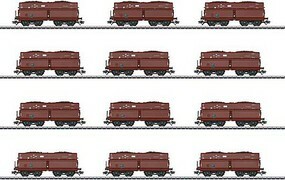 Locomotives is the most popular of the 16 marklin model trains categories, then Freight Cars, and Track / Accessories. This is the Z Scale Christmas Market Set 120V from Marklin, Inc. This is the Z Scale EMD E8 - Standard DC - Pennsylvania Railroad (Tuscan, 5-Stripe) from Marklin, Inc. 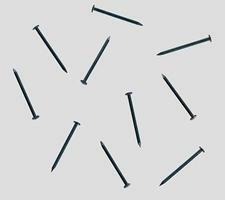 This is the Z Scale Track Nails from Marklin, Inc. (100). This is the Z Scale Track Bumper w/Working Light from Marklin, Inc. 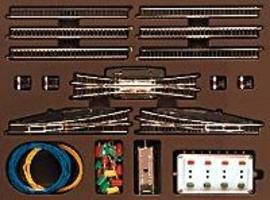 This is the Z Scale T3 Extension Set w/Electric Turnouts from Marklin, Inc. This is the Z Scale Mini-Club Signal - Color Light Block from Marklin, Inc. This is the Z Scale Bridges - Arched 8-13/16'' from Marklin, Inc. This is the HO Scale Flat Car Set w/Containers & Semi Trailers pkg(5) (Limited Edition) - LDW Walter from Marklin, Inc. This is the Z Scale (bulk of 10) Curve Track - 5-3/4'' 14.5cm Radius 45 Degree from Marklin, Inc. This is the New Style Sockets pkg(10) - Red from Marklin, Inc. This is the HO Scale Digital Diesel Class 218 Loco w/Sound - German Federal Railways (DB) from Marklin, Inc. This is the HO Scale Class 6400 2-Unit Set - 3-Rail w/Sound & Digital - DB Schenker Rail Nederland NV from Marklin, Inc. This is the HO Scale Express Train 5-Car Passenger Set - 3-Rail - Ready to Run - German Federal Railroad DB from Marklin, Inc.